I haven’t written a blog post from my iPad in a long time, and I’m not entirely confident this is going to work, but here goes nothing. I’ve been in Alaska for the last week, experiencing Anchorage in winter, which is decidedly snowier and colder than Anchorage in summer. But, since Boston has not been delivering on the snow this year, it’s a welcome change of scenery, and brings with it some pretty cool stuff. For example, on the day I flew in, there had been a frozen fog over the city, which left trees and signs and just about everything covered in perfect ice crystals – it was like being in a fairy tale. And yesterday we got back from an overnight trip to a cabin on the Kenai Penninsula, where we could snowshoe in, toting firewood in a sled, light a wood stove, and stand on the front porch watching the moon rise over snow-covered peaks. All in all, I’m a big fan of winter Alaska. 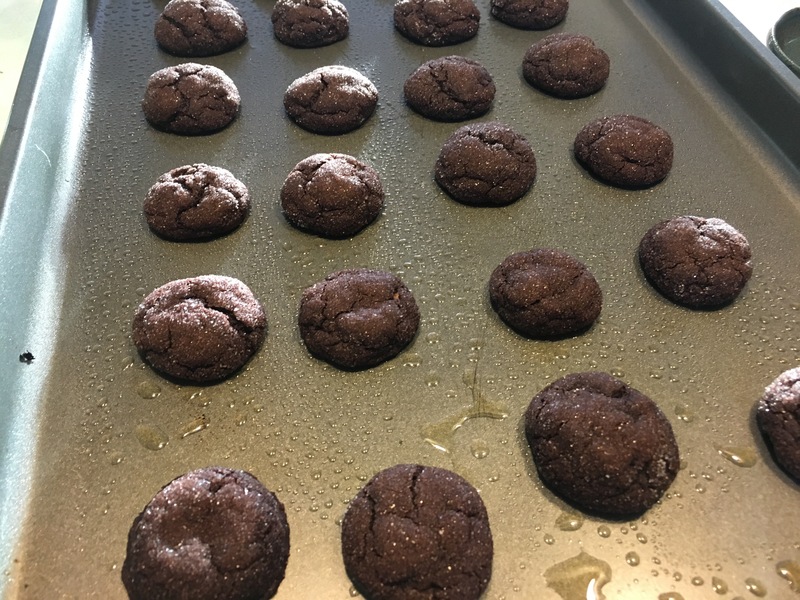 And even with all the distractions available to me, I still found time to make some cookies! 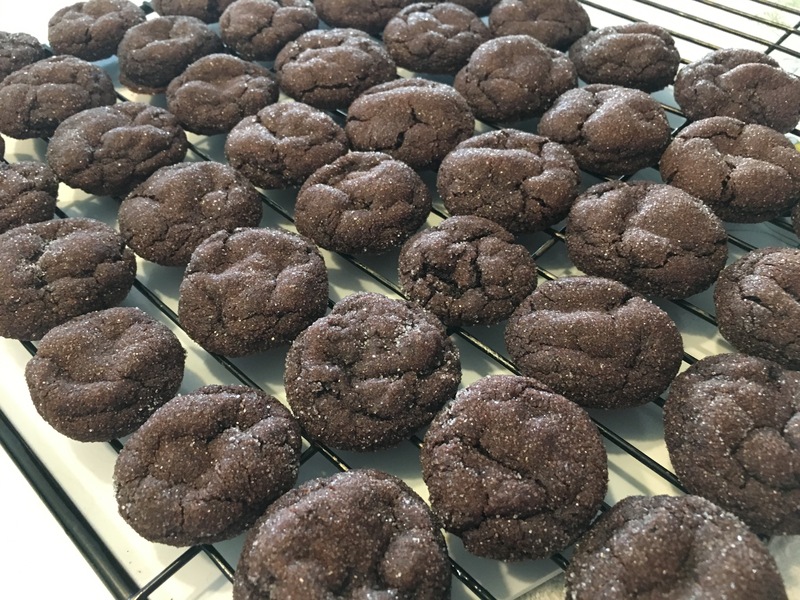 These cookies are not particularly sweet, and they’re tiny, with a complex, more adult flavor to them. I made them on Wednesday with the aim of bringing them to a party with Erik’s friends Saturday night, so they’ve been sitting on the counter taunting us for awhile now. Rolled in sugar, they have just a hint of the sparkle of all the snow outside. 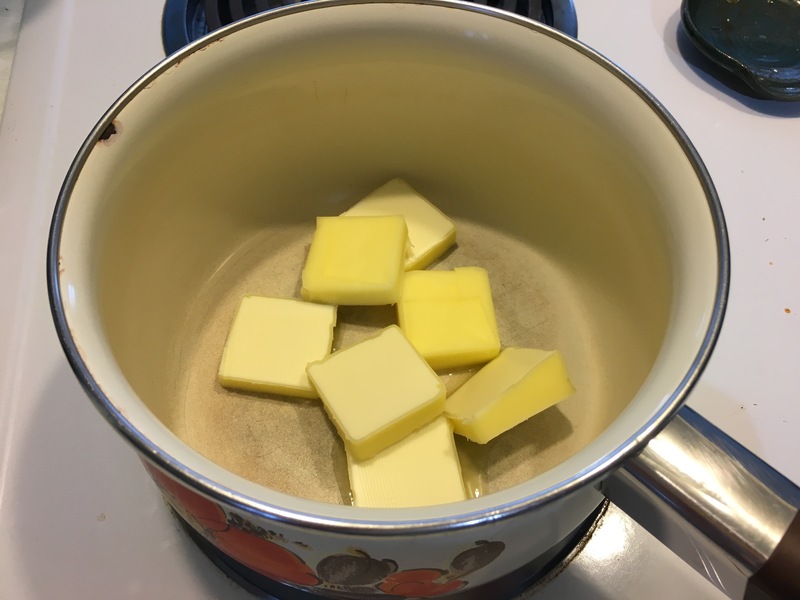 To make them, start by melting the butter in a small saucepan over medium heat. 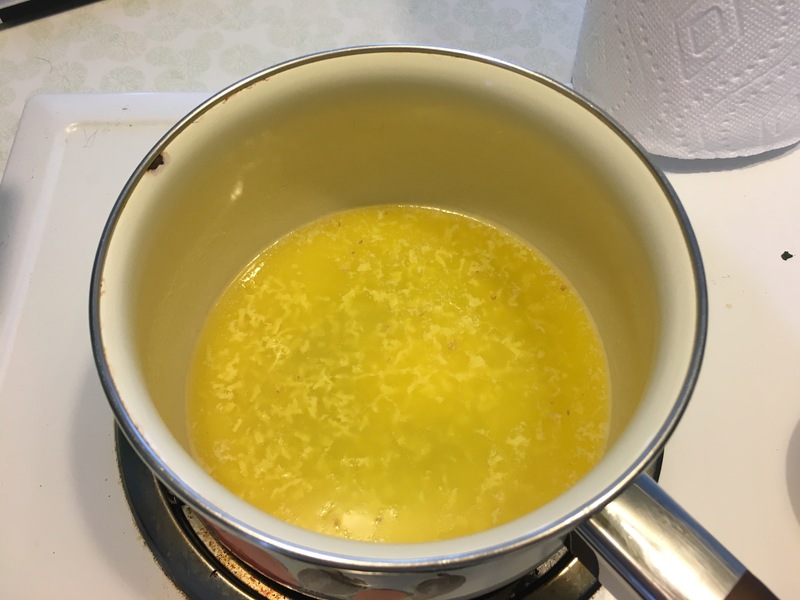 When the butter is melted, stir in the grated fresh ginger and set aside. 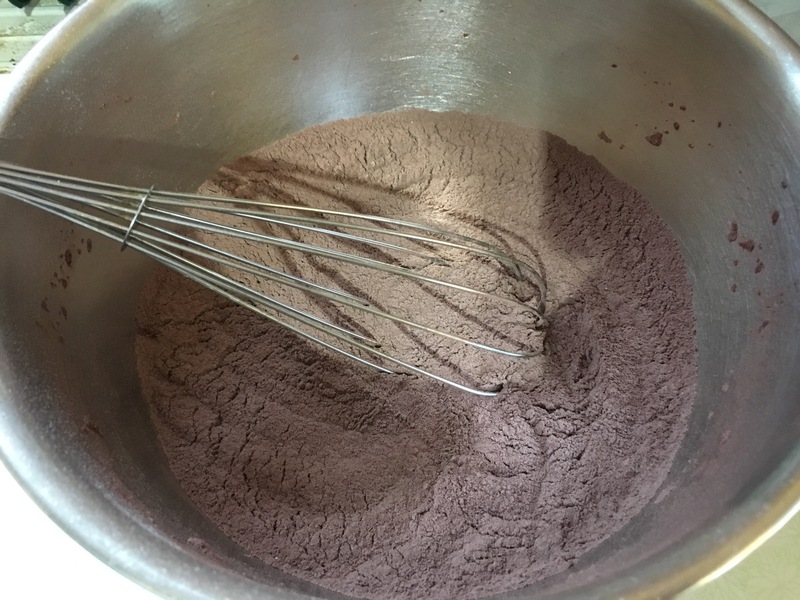 In a large bowl, whisk together the flour, cocoa powder, baking soda, cinnamon, ground ginger, and salt. 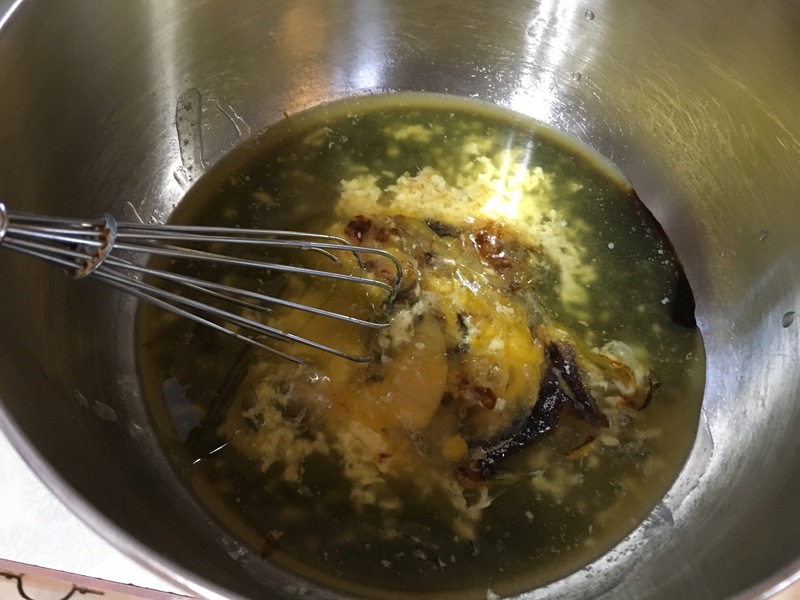 In a separate bowl, whisk together the sugar, molasses, and egg. Add the wet ingredients to the dry ingredients and stir with a rubber spatula until just combined. Pop the dough in the fridge to chill for about 15 minutes to make the dough easier to work with. Roll the dough into small balls, about the size of a quarter, and roll in a shallow dish of sugar to coat. 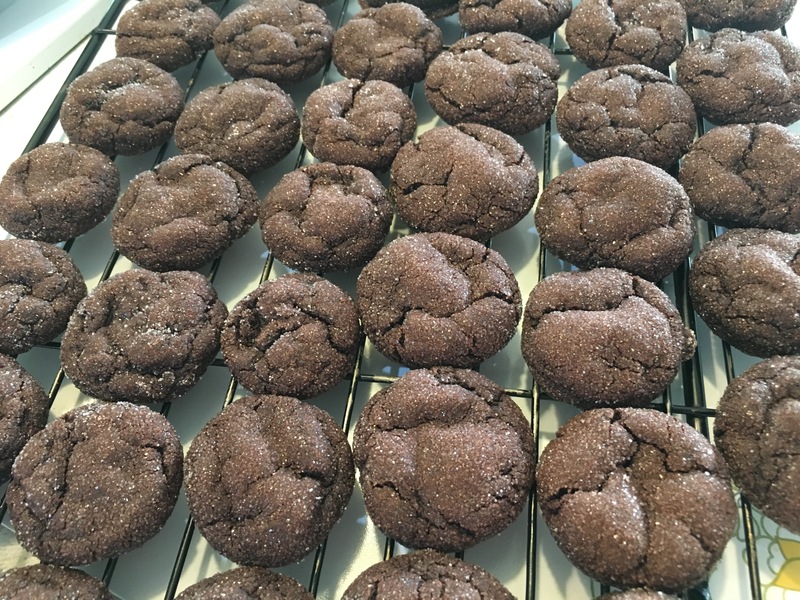 Place about 1 inch apart on a greased baking sheet, or a baking sheet lined with parchment paper. Bake at 350°F for about 6 minutes, until tops crack and appear dry. Now you’ve got lots of little cookies! Store them in an airtight container. Also, please pardon the formatting of the recipe below – as I said, iPad blogging is tough for me. Maybe this will be my motivation to either go back and adjust formatting of recipe cards more widely (sounds time-consuming) or buy a new iPad (much less time-consuming, but must more money-consuming). 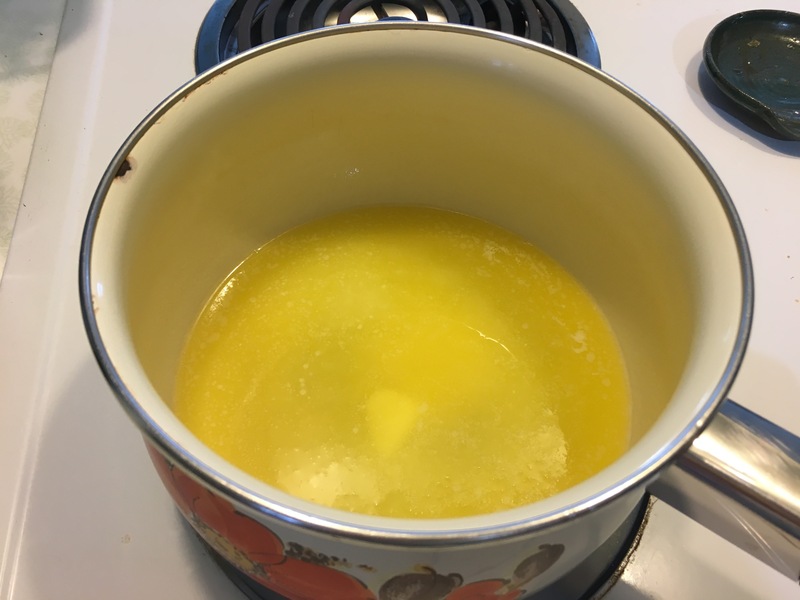 When butter is melted, stir in grated ginger, and set pan aside. 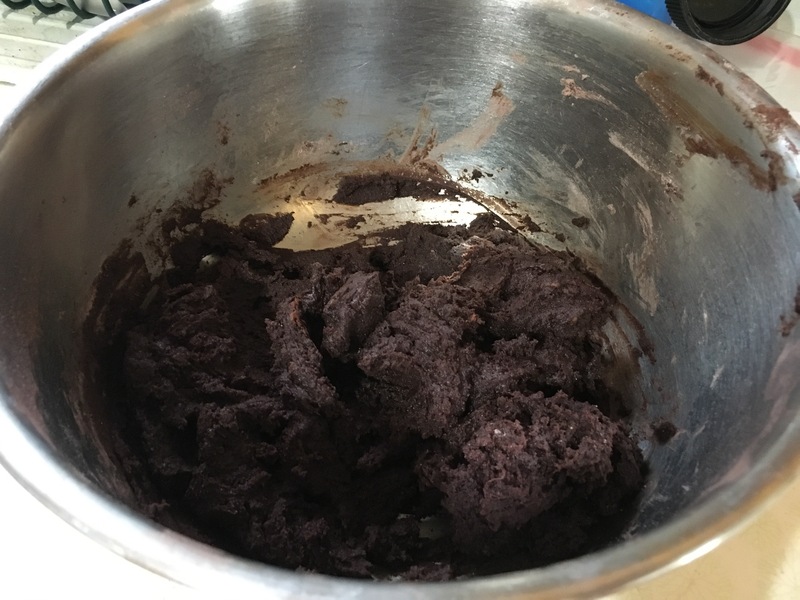 In a large bowl, whisk together flour, cocoa powder, baking soda, cinnamon, ground ginger, and salt. 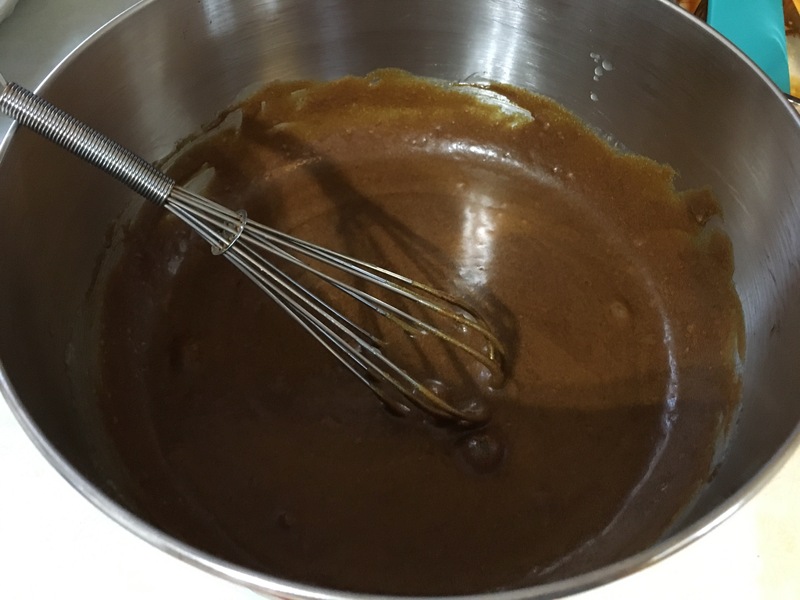 In a medium bowl, whisk together sugar, molasses, and egg until smooth. 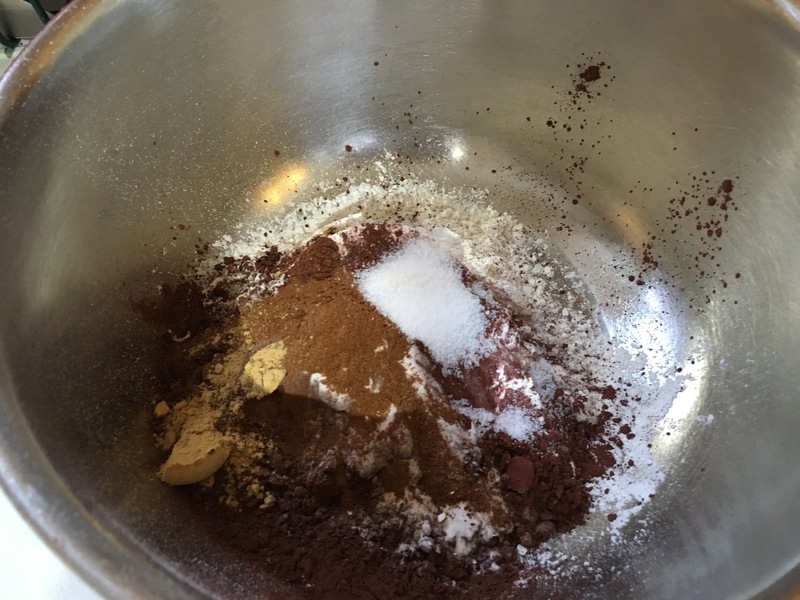 Add wet ingredients to dry ingredients and stir until just combined. Refrigerate dough for 15 minutes. Roll dough into small balls, about the size of a quarter. Roll each ball in a small dish of sugar to coat. 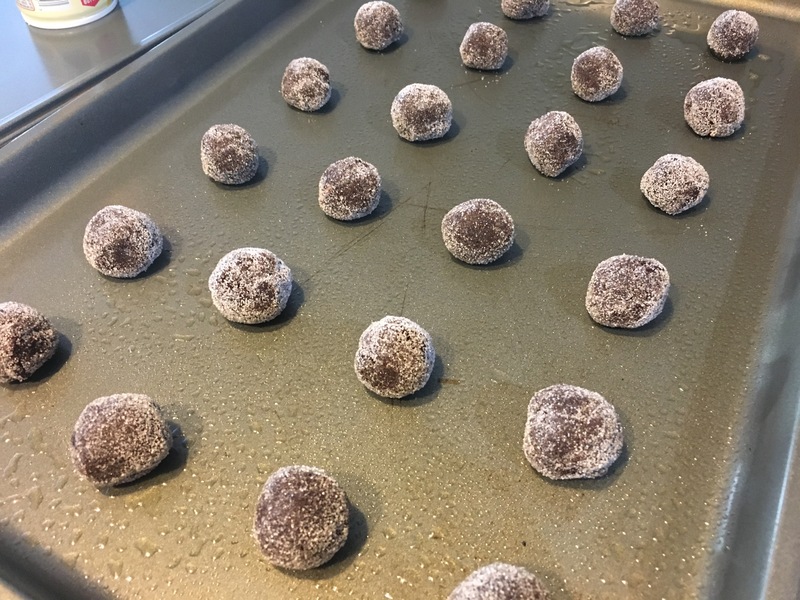 Place balls 1 inch apart on a greased baking sheet. Bake at 350°F for 6 minutes, until tops are cracked and dry. Remove from baking sheet and place on a wire rack to cool completely.